We cannot display this galleryIn much the same way, that twin-turbo V8 does not offer quite the rousing soundtrack of the California’s shouty brothers. Stirring perhaps, but not very, well, exciting. 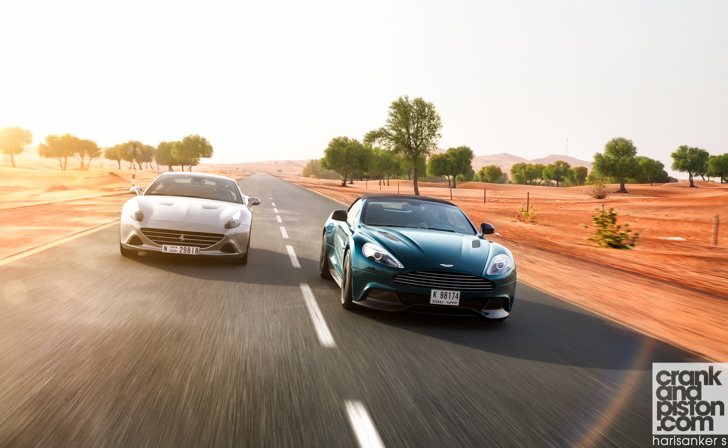 It’s a marked difference to the Vanquish‘s V12, which utters each gear change with a thunderous crack. Which, given the sheer fury of the Aston’s 565bhp being unleashed, is quite apt. 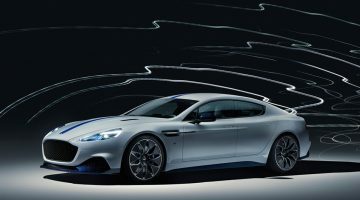 The initial ‘punch’ for instance under heavy acceleration in the Vanquish is far more abrupt than that offered by the Ferrari, the latter’s acceleration more linear than the Aston’s and as a result, less uplifting. Though the California may nail the Aston in a straight line, it’s the Vanquish that evokes the most character whilst doing so. 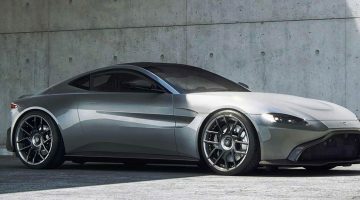 Through the corners – up against Ferrari’s gelding – we again expect the Aston to lead the way, and certainly during our initial sprints this is the case. Steering for instance is beautifully accurate on turn-in, those grippy tyres and a low centre of gravity (even with that heavy roof mechanism) offering wonderful precision through even the tighter corners: I had expected the square-like steering wheel to make this more awkward. Granted it can’t be felt under acceleration (we’re too transfixed with the soundtrack for that), but that 1844kg kerb weight is still evident under turn-in. It’s not enough to throw out the delicate balance and destroy the whole run in a torrent of understeer and body roll: the lightweight VH subframe is too stiff for that. It means the Volante doesn’t offer quite the nimbleness of the coupe though, and it’s a similar story under braking: that third generation Brembo Carbon Ceramic Matrix offers impressive stopping power, but there’s a visible nod at the nose as the front axle loads up. If there’s one thing in particular that’s needling me with the Aston, it’s the ride. Like the coupe, the Vanquish Volante comes complete with independent double wishbones and three-stage adjustable damping for improved road holding, and there’s very little to criticise there. This has though – like the coupe – knocked the ride comfort somewhat. It’s not an uncomfortable experience– I cannot express enough how much better the ride is compared with the V12 Vantage S – but the lumbar-supportive sport seats and limited headroom (with the roof down at least) is a stark reminder that at the base of the Vanquish is a more-performance focused sports car. Granted one whose day-to-day versatility is impressive. Still, as a replacement to the DBS, the Vanquish by its very nature is Aston’s mass-market performance flagship, and though the refinery of the interior and that booming V12 soundtrack mean the Volante is still a superb GT car, a stiffer ride quality and poise through the turns means the Aston is always going to do handling better than comfort. And that’s a key box left unticked for a sporty convertible grand tourer. Compare that with the California T. Don’t forget that beneath those chiseled new looks there lies a tauter chassis, honed double wishbones (multilink at the rear) and a stiffer aluminium bodyshell, all for the sake of ‘more Ferrari-like’ performance over its predecessor. Which it delivers in spades, there’s no doubt. Once again, there isn’t the 458-esque level of urgency through the wheel, although – as is the case with most of Maranello’s current range – the steering does feel almost alarmingly quick, this rate of response a direct result of the new steering box and its 10 per cent quicker rack. Connection to the front wheels is consequently a little vague and the steering sensation itself somewhat remote. Compared with the weightier, more intuitive setup found in the Aston, these ‘unsettling’ vagueries could be considered disappointing. Having said that, balance – regardless of damper setting – is mighty. With 53 percent weight over rear axle, and even with 1729kg to work with through the turns, the front end doesn’t feel anything like as front heavy as the layout would suggest (those turbochargers do pile on the kilos, y’know). There’s a precision through even the tighter turns aided immensely by those grippy front tyres, traction from the rear enabling me to tuck the nose in at even ambitious speeds. Ferrari’s seven-speed dual-clutch is blink-of-an-eye fast, and though a little more travel in the pedal wouldn’t go amiss, the brakes offer some mighty stopping power. Consider all this. Then consider that the ride quality is still utterly superb. A refined setup means the suspension, as well as neutralizing both understeer and body roll, rounds out imperfections in the road surface to avoid any jarring sharpness to the ride quality: a ‘bumpy road’ setting under ‘Sport’ damping mode is similarly impressive, retaining enough body control without unsettling the comfort of its occupants unduly. I’ll admit the cabin’s convoluted layout could start to grate on a day-to-day basis (the idiocy of the indicator ‘stalks’ being mounted on the steering wheel means that after a while I abandon them altogether) and, like the Vanquish, the rear seats are beyond useless. Head and legroom though, even with the roof down, is considerable, the pseudo bucket seats offering both good lumbar support and cushioned give. Save a couple of niggles – the passenger window button is so loose I worry about it breaking off between my fingers – build quality is anb improvement over the Aston’s stylish design. Ultimately it’s a tough decision, for both of our contenders – in one way or another – offer flaws to their design. 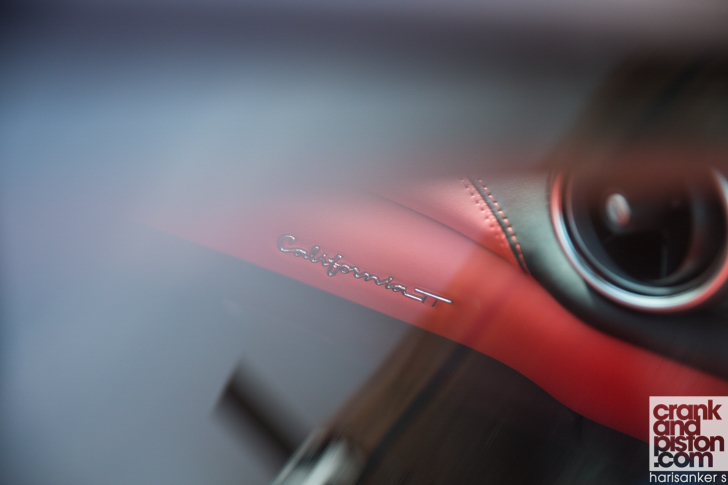 The Aston for instance offers the grip, the panache and the engagement we’ve come to expect from a Vanquish. But even with the roof down and that V12 soundtrack blaring, the effect is still not as GT-esque as we’d hope, the ride quality slightly stiffer than the Ferrari and the more ‘driver-focused cabin’ consequently a little more claustrophobic. Similarly the California T, though fast and agile, lacks some of the character we’ve come to expect from the prancing horse, the soundtrack less emotive than the Aston’s, the steering less engaging, and the whole experience lacking in Italian gaiety. Having said that, while the Volante will ultimately lean more towards performance over comfort, the Ferrari – in many ways – focuses more on everyday usability than outright speed. But that doesn’t mean the California T isn’t a marked improvement over its predecessor. Yes, the drive is lacking a little in excitement and only when we get behind the wheel of the similarly engine 488 GTB will we know just how evocative that twin-turbo V8 really is. But the balance is mightily impressive, the speed – if not perhaps the sensation – is monumental, and the gearbox is the benchmark of precision. If it’s apexes you’re looking to nail, get your deposit in for the Aston Martin Vanquish Volante (they also do the True Teal leather with yellow stitching). And as a properly dynamic Ferrari, the California T falls a little short. But as a sporting convertible GT that just so happens to have a prancing horse on the bonnet, it’s a revelation. Enjoy this Ferrari California T / Aston Martin Vanquish Volante twin test?